Posts categorized "Ready to Make It? (c)"
Instructions for "Sunny Days" card designed by Lyssa Griffin Zwolanek for Song of My Heart Stampers. All supplies Stampin’ Up! "Ready to Make It?" cards can be created in fifteen minutes or less, with limited supplies. Try one today! 2. Cut Whisper White to 3.75 x 5 inches for the background and 3.75 x 1.5 inches for the sentiment piece. 3. Cut Coastal Cabana to 4 x 2 inches for the mat. Set aside. 4. Stamp the lemonade stand image on the right hand side of the background using black ink. Color using the Stampin' Blends markers (Pear Pizzazz, Crumb Cake, Pool Party and Daffodil Delight). 5. Stamp the saying in the middle of the sentiment strip. Mat with Coastal Cabana piece. 6. Adhere background to cardfront. Attach sentiment piece over the left hand side, as shown. 7. Add an embellishment at top and bottom. Stamp inside saying and envelope to match, if desired. Instructions for "Thank You Kindly" card designed by Lyssa Griffin Zwolanek for Song of My Heart Stampers. All supplies Stampin’ Up! "Ready to Make It?" cards can be created in fifteen minutes or less, with limited supplies. Try one today! 1. Card base is 5.5 x 8.5 inches folded in half to form card. Patterned paper strip is 2 x 5.5 inches. Adhere patterned paper across lower portion of card base, as shown. 3. Stamp large bush and butterflies in Balmy Blue ink. 4. Stamp small slowers and sentiment in Early Espresso ink. 5. Stamp the spatter image in Petal Pink ink. 6. Mat the image on the cardstock and adhere strip of laser-cut lace detail to bottom edge. Mount on cardfront as shown. 7. Embellish with a fold of ribbon and a Faceted Dot. Stamp inside saying and envelope to match, if desired. Instructions for "Looking Sharp" card designed by Lyssa Griffin Zwolanek for Song of My Heart Stampers. All supplies Stampin’ Up! "Ready to Make It?" cards can be created in fifteen minutes or less, with limited supplies. Try one today! 2. Cut four 2 x 2 inch squares of any four coordinating papers. 3. Adhere the squares in a grid at the top of the card. 4. Add a .75 x 4 inch strip of cardstock to the bottom to complete the background. 5. Add a 2 inch strip of corduroy ribbon to the bottom of the lower left square. 6. Stamp and punch out desired sentiment and adhere as shown, with dimensionals. Instructions for "Beary Much" card designed by Lyssa Griffin Zwolanek for Song of My Heart Stampers. All supplies Stampin’ Up! "Ready to Make It?" cards can be created in fifteen minutes or less, with limited supplies. Try one today! 1. Card base is Whisper White Note Card. 2. Stamp the Panda in Archival Black ink on right hand side of card. 3. Stamp the saying to the left of the panda, and hearts above, using Real Red ink. 4. Color the panda's envelope with the Pink Pirouette and Real Red markers. 5. Use the pink striped washi tape to run a border along the opening edge. The little cabin in the Waterfront stamp set made me think of beach huts, so when I needed to stamp a thank you card for a friend who lives in Hawaii, I knew right where to go. I just love the tiny little palm trees! So cute. And it was easy to add a row of colorful beach huts. Doesn't it just make you want to grab your swimsuit and head for the Caribbean? Instructions for Beach Sunset card designed by Lyssa Griffin Zwolanek for Song of My Heart Stampers. All supplies Stampin’ Up! "Ready to Make It?" cards can be created in fifteen minutes or less, with limited supplies. Try one today! 1. Card base is Thick Very Vanilla cardstock, 5.5x8.5 inches folded in half. Crumb Cake mat is is 4 & 7/8ths by 5 3/8ths inches. Very Vanilla layer is 3.75 x 5 inches. 2. Stamp the shoreline strip in Crumb Cake ink just below the mid-line of the Very Vanilla layer. Stamp the trunks of the palm trees as well. 3. Stamp the water stamp in Pool Party ink just below the shoreline. Stamp one beach house on the shore. 4. Stamp the tops of the palm trees in Pear Pizzazz ink. 5. Stamp the sun in So Saffron ink, and one beach house. 6. Stamp the last beach house in Calypso Coral, and the desired saying. 7. Mat the stamped piece on the Crumb Cake and adhere to cardfront. Embellish as shown. 8. Stamp inside saying and envelope to match, if desired. Instructions for A Cup of Coffee card designed by Lyssa Griffin Zwolanek for Song of My Heart Stampers. All supplies Stampin’ Up! "Ready to Make It?" cards can be created in fifteen minutes or less, with limited supplies. Try one today! 1. Card base is Crumb Cake 5.5x8.5 inches folded in half. Coffee Break background is 4 x 5.25 inches. 2. Adhere the background paper to the center of the card base, with equal margins on all four sides. 3. Stamp the Happiness is saying on scrap Crumb Cake cardstock. 4. Carefully slice each part of the sentence into a strip. Trim the ends to remove excess cardstock around the words. 5. Reassemble the sentence starting from the bottom up, as shown, using mini Stampin' Dimensionals to pop the strips up off the card base. I know, I know--two posts in a row with the Coffee Break papers! I can't help it! I just want to make sure everyone gets theirs before the sale ends on October 31st, 2017. Read about the Buy 3 Get 1 Free sale here. Instructions for A Beautiful Blessing card designed by Lyssa Griffin Zwolanek for Song of My Heart Stampers. All supplies Stampin’ Up! "Ready to Make It?" cards can be created in fifteen minutes or less, with limited supplies. Try one today! 1. Card base is Cajun Craze 5.5x8.5 inches folded in half. Crackle finish paper layer (Color Theory) is 4 x 5.25 inches. Cajun Craze mat is 4 and 5/8ths by 3 and 1/8ths inches, and Whisper White layer is 3 x 4.5 inches. 2.Stamp the sunflower on the upper middle of the Whisper White piece, using Crushed Curry for the bottom layer and Cajun Craze for the top. 3. Stamp the flower center and the saying in Chocolate Chip ink. 4. Stamp the leaves in Always Artichoke and Crumb Cake. 5. Tie a knot of double stranded Linen Thread around the lower card of the sunflower image. Mat on the Cajun Craze piece. 6. Adhere crackle finish paper to card base with an equal margin on all four sides. Add spatter stamping if desired, to weather. 7. Adhere the sunflower image to the center of the card, using dimensionals. Instructions for Vintage Father Christmas card designed by Lyssa Griffin Zwolanek for Song of My Heart Stampers. All supplies Stampin’ Up! "Ready to Make It?" cards can be created in fifteen minutes or less, with limited supplies. Try one today! 1. Card base is Cherry Cobbler 5.5x8.5 inches folded in half. Tranquil Tide mat is 4x5.25 inches, and Crumb Cake layer is 3.75x5 inches. 2. Stamp the upper part of the filigree frame in Early Espresso ink on the top of the Crumb Cake piece. Stamp the lower part of the filigree frame on the bottom edge. 3. Stamp the Father Christmas image in the middle, just right of center. Stamp the bag of toys next to him on the lower left. 4. Stamp the smaller saying in the empty area above the bag of toys. 5. Sponge all four edges of the Crumb Cake layer to weather the paper. 6. Use the edge of your Paper Snips to scrape the edges of the Crumb Cake and Tranquil Tide pieces, to roughen and distress. 7. Layer the stamp piece on the Tranquil Tide mat and adhere to Cherry Cobbler card base. Wrap Linen Thread around the card several times and tie off in a bow at the top, with long trailing ends. 8. Stamp inside saying and stamp envelope to match, if desired. It's fun to be fancy... but it doesn't have to take tons of time to make beautiful handmade cards for Christmas. This year, plan on a simpler design that's still lovely, but can actually be accomplished during a busy season. Song of My Heart Stampers can help with that! Instructions for Summer Daisy card designed by Lyssa Griffin Zwolanek for Song of My Heart Stampers. All supplies Stampin’ Up! "Ready to Make It?" cards can be created in fifteen minutes or less, with limited supplies. Try one today! 1. 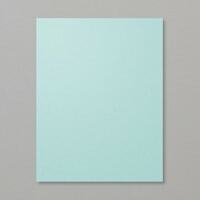 Card base is pre-cut Whisper White note cards measuring 5 x 3.5 inches. Cut the Delightful Daisy papers to 3 x 4.5 inches. Adhere with darkest portion of the design at the top, and lightest at the bottom. 2. Stamp the saying in Old Olive ink directly on the patterned paper, across the bottom of the card. 3. Punch out two Daisy punches from scrap Whisper White and adhere together. 4. Punch out a 3/4 inch circle from Crushed Curry and emboss with dots using the Softly Falling folder. Adhere to daisy center. 5. Adhere daisy to cardfront, upper center, using a dimensional. 6. Add two large loops of Linen Thread as shown, and a scattering of three of the pale green Glitter Enamel Dots. 7. Stamp inside saying and stamp envelope to match, if desired. It's fun to be fancy... but if you have 15 minutes, you have time to make a beautiful handmade card. Who needs a card from you today? Instructions for “Fabulous Flamingo” card designed by Tammy Wrobel, a Song of My Heart demonstrator team member. All supplies Stampin’ Up! "Ready to Make It?" cards can be created in fifteen minutes or less, with limited supplies. Try one today! 1. Card base is Pool Party cardstock cut to 5.5 x 8.5 inches and folded in half to form horizontal card. Cut a background of regular Whisper White measuring 4 x 5.25 inches. 2. Stamp the saying in Early Espresso ink in the bottom right corner of card. 3. Stamp the swash stamp from Work of Art in Soft Suede ink, centered on the cardfront, above the saying. Clean the stamp. 4. Stamp two more swashes stamp in Pool Party ink, above the Soft Suede one. Clean the stamp. 5. Stamp the final two swashes in Peekaboo Peach ink to complete the background. 6. Use Early Espresso ink to stamp the flamingo, reeds and palm branches, as shown. 7. Adhere the cardfront to the card base. Stamp inside saying and stamp envelope to match, if desired. Instructions for “You Dazzle Me” sunglasses card designed by Dawn Kloman, a Song of My Heart Demonstrator Team Member. All supplies Stampin’ Up! "Ready to Make It?" cards are designed to be created in fifteen minutes or less, with limited supplies. Try one today! Accessories: Decorative Label punch; Metallic Enamel Shapes; silver metallic ribbon; dimensionals. 1. 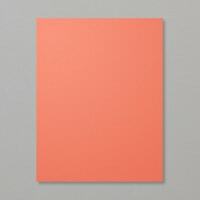 Card base is Thick Whisper White Cardstock 5.5 x 8.5 inches and folded in half to form horizontal card. Cut a background of regular Whisper White measuring 4 x 5.25 inches. 2. 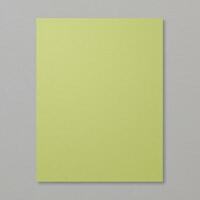 Stamp the lowest pair of sunglasses in Lemon-Lime Twist ink in the bottom left corner of the Whisper White background. 3. Clean the stamp and ink it up with Berry Burst, stamping the sunglasses once in the upper left corner of the cardstock. 4. Clean the stamp again and ink it up with Tranquil Tide, stamping the sunglasses on the left middle of the card, evenly spaced between the first two images. 6. Clean the stamp one more time and ink it with Fresh Fig, stamping the sunglasses in the lower right in the remaining empty space on the card. 7. Stamp the saying in Fresh Fig ink and punch out. Adhere to card as shown, with dimensionals. Add ribbon and enamel shapes to embellish as desired. Thanks for stopping in to Song of My Heart today for real-life papercrafting tips and tricks. 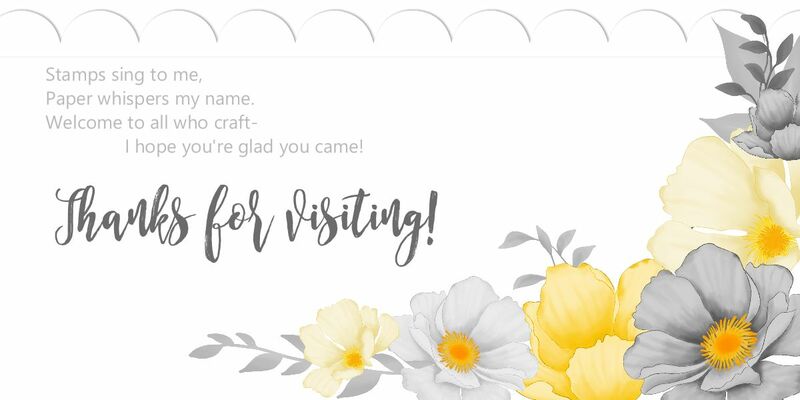 Please feel free to shop my Stampin' Up store for all your crafting needs, and be sure to check out the rest of the cards in the Ready to Make It category here! It's fun to be fancy... but if you have 15 minutes, you have time to make a beautiful handmade card. Who needs a card from you today? Instructions for “Beautiful Bouquet” card designed by Lyssa Griffin Zwolanek for Song of My Heart Stampers. All supplies Stampin’ Up! "Ready to Make It?" cards are designed to be created in fifteen minutes or less, with limited supplies. Try one today! Accessories: Berry Burst Finely-Woven Ribbon, Layering Circles dies, dimensionals. 1. 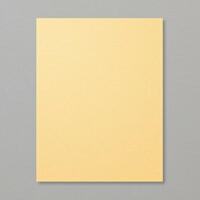 Card base is Thick Whisper White 5.5 x 8.5 inches and folded in half to form horizontal card. Cut three 3.5 x 1.25 inch pieces of Whisper White for floral images. 2. Stamp the stems on each piece using Old Olive Ink. 3. Stamp the corresponding flowers on each stem, using Berry Burst ink. 4. Stamp the flower centers using Fresh Fig ink. Stamp the desired saying on scratch Whisper White. 5. Punch out saying or use Layering Circles dies to create a mat from Berry Burst cardstock. 6. Arrange floral image pieces in a grouping to the left side of the card. Adhere using dimensionals. 7. Wrap Berry Burst ribbon around card front with ends landing where the saying will cover them up. Attach saying piece with dimensionals.